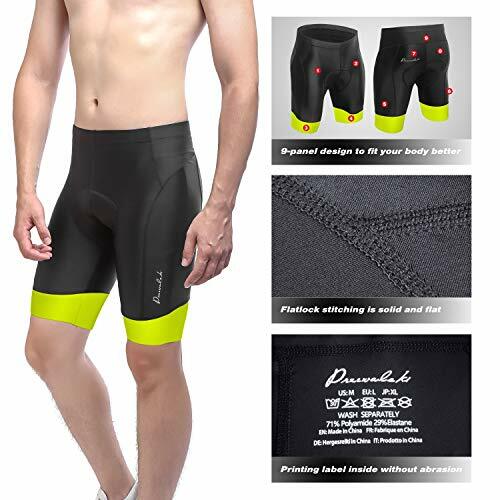 ·Anti-slip spots & reflective logo make sure of non-chafing and safety at any moment. ·1 Year Warranty, 100% Satisfaction Guaranteed. It is never too late to buy and never too pityful to choose. 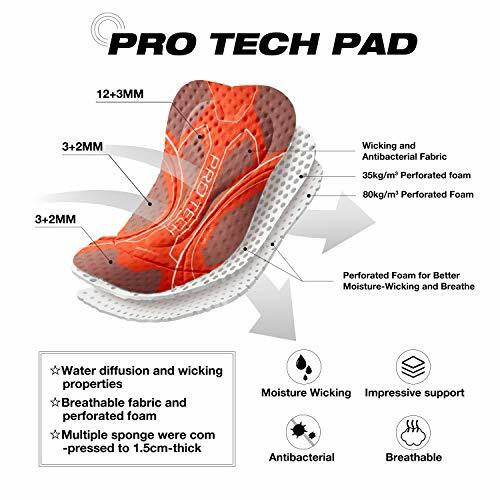 Add to cart now!【Comfortable Sitting】 Pad is laminated with two-layer high-density and resilient foam to support sit-bones. Perforating 8mm diameter holes to wick moisture and 2mm diameter holes to ventilate, which keep you cool and relax. 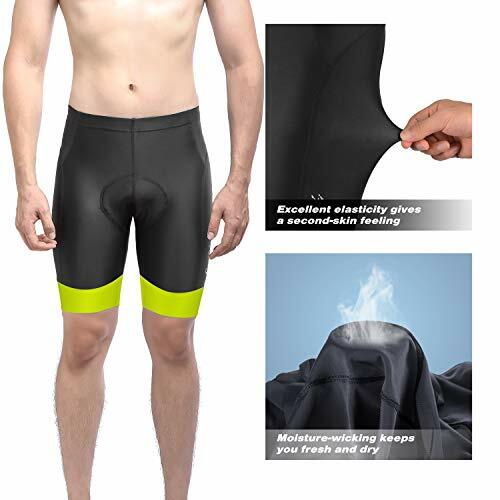 【Breathable Feeling】 Fabric is made of new type of materials that sweat well in the high heat of cycling. Elastic fibers are engineered to Four-way stretch when moving; it gives you the sense of permeable and fresh. 【Ergonomic Fitting】 9-panel-design makes body fitting well when you spinning, mountain and road riding. Four-needle-six-lines knitting is designed to stitch smoothly and seamlessly, allowing you to move more freely. 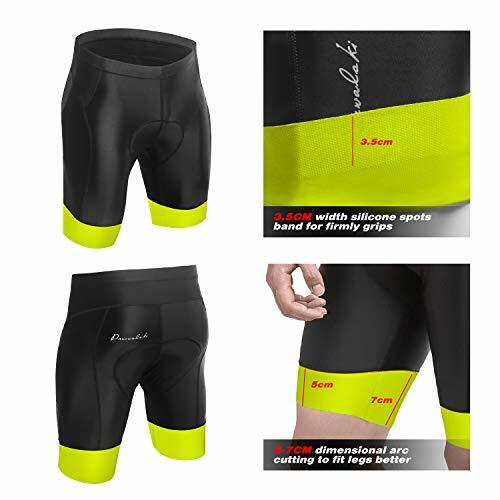 【Useful Non-Slip】 Intensive silicone spots attached equally at the 7cm width hem, preventing cuffs from riding up. 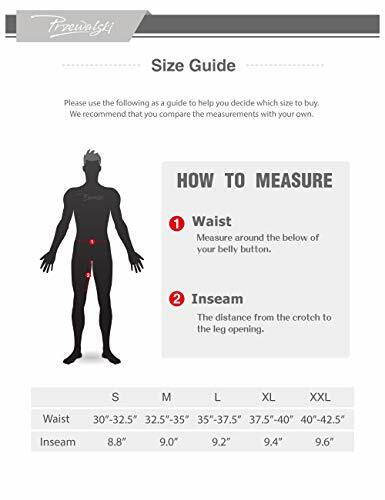 You will never feel tight or chafe at any time compared with regular silicone bands. 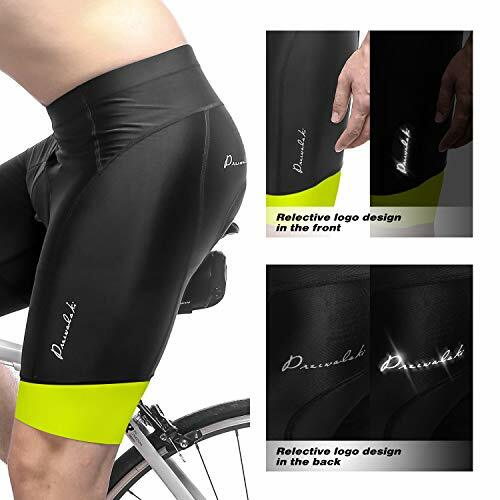 【Reliable Safety】 Reflective logos design in front and back make riders be seen in lightless conditions more easily. You do not have to worry about the matter of safety during riding even at night.